This story is unrelated to running BUT like the title suggests, it DID happen on a race weekend, so it is now relevant to the blog! The weekend of the Hershey 10K race, we visited the Hershey Gardens and Butterfly house. 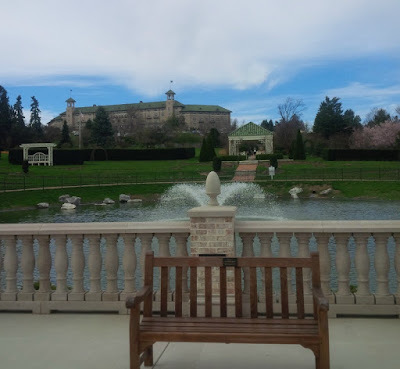 The Hershey Gardens are on beautifully landscaped grounds and there is a body of water located there which is surrounded by a brick wall and a gate. 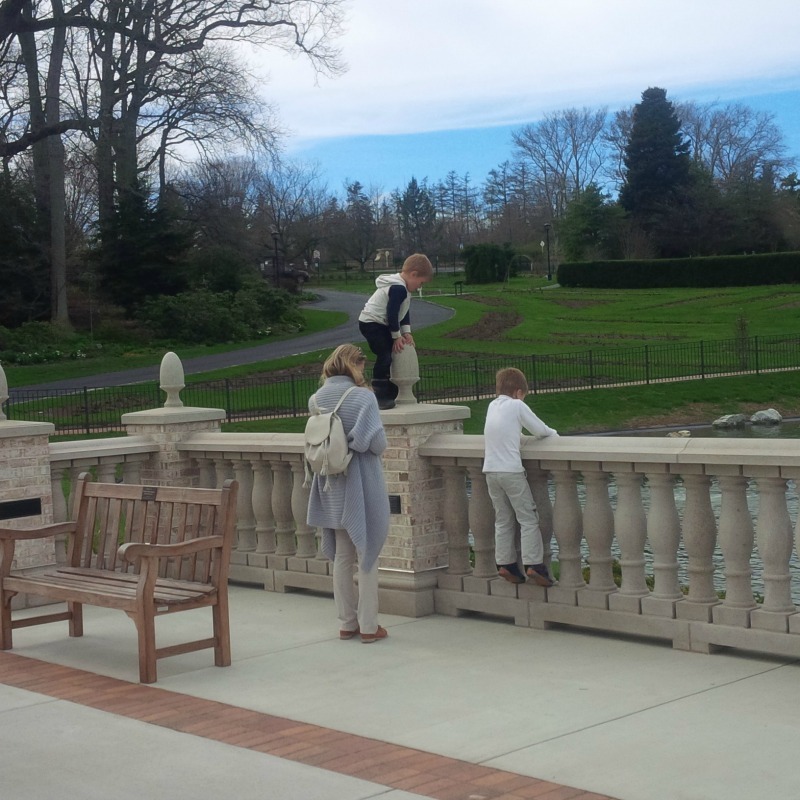 As we were exiting, I noticed a small child playing /climbing on one of the pillars in front of the water. I noticed his mother was not even paying attention to him. She was on her phone. This kind of stuff just irritates me so I had to snap a photo. 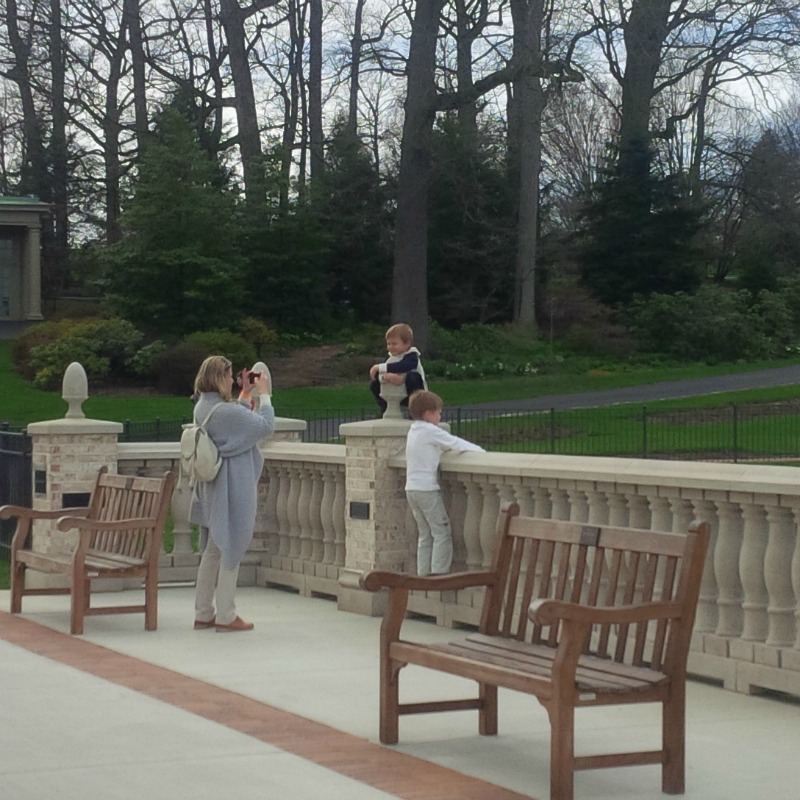 I then noticed the mom wanted the child up on the pillar to pose for a picture (when the water was clearly right behind him with no barrier)! This was not a very old child. What if he would have fallen or got hurt? Would the mother than hold Hershey responsible? It would have clearly been her neglect but we all know how some people get sue happy when something happens that they don’t take responsibility for themselves. I will admit that I did not see a sign posted that stated “No Climbing on the Wall” but then again, Hershey probably didn’t think they had to. Some people amaze me! What acts of stupidity have you seem lately? That does look dangerous! Im glad he didnt get hurt! I'm gonna say he didn't get hurt but I left the area before they did so who knows what happen after that! Who in the world would let their child climb up there? Not in a million years. When we were in Ireland, we visited the Cliffs. There's a barrier which SO many people climb over to get closer to the edge with their selfie sticks. It is SUPER windy. Many people have fallen over. I just don't get why you'd risk your life for another 5 ft closer to the edge. This wasn't that far over, but still! Oh my gosh!!!! How scary! I cant imagine letting my kids climb on something so dangerous! Listen, these Facebook pictures aren't going to create themselves...sigh. It's wild how people will not even consider safety over a good shot. I am constantly this type of behavior! when I'm at the park with my son playing, random kids will ask me to tie their shoes or for a snack... and I will always ask them "Where are your parents?" Roger laughs at me, because that is my automatic answer to any kids questions. All for that perfect picture for social media. Oh my gosh... its so crazy to sit back & watch how people do their lives. So much NOT THINKING in situations. I hate when things like this happen. I'm sure she would be the first one to sue Hershey. That's why we see ridiculous sings places where it's obvious you shouldn't be doing something, but companies have to cover their butts! 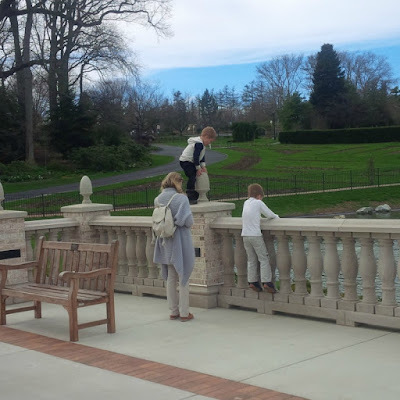 When I see children climbing in things they shouldn't, I see it as disrespectful and feel like the parent should teach respect! Now I am sure that is due to the teacher inside of me! I realize parents have hard jobs and can't be perfect 24/7, but my first honest thought is that climbing like that is disrespectful. I'm interested in reading the comments on this one! This kind of stuff irritates me also. 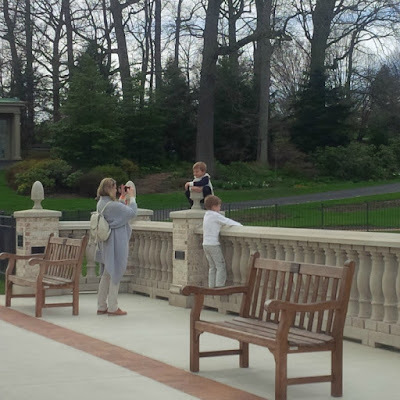 The mom may have wanted a cool photo for her social media, but at what risk? Wow! This is crazy. How scary?! The things people will do for a picture! Ugh!! Oh how crazy!! That would scare me half to death! Oh my gosh, my heart is pounding just looking at that picture!!!! Call me a paranoid mom, but I would totally flip out if my kid was doing that :s Scary! That reminds me of one of the Superman movies where the kid gets on the other side of the fence that is around Niagara Falls and his mom is not paying attention. Kid did fall, but of course Superman saved him. Ugh! This kind of thing stresses me out, but some of my family and friends look at me like I'm too uptight.